Here is the Predator timeline consisting of the events of Predator, Predator 2, Predators, Alien vs Predator, Aliens vs Predator: Requiem and The Predator. This is a simple timeline, mostly taking into account the most important events from the movie or events referenced in the Predator movies. It does not contain any books or games. I have decided to keep the Alien and Predator timelines separate, although they share the Alien vs. Predator parts. If you are interested, check out the Alien Timeline. 3000 BC: Predators visit Earth and are worshipped as gods. They help the humans build pyramids and demand sacrifices in return. They visit Earth every 100 years. 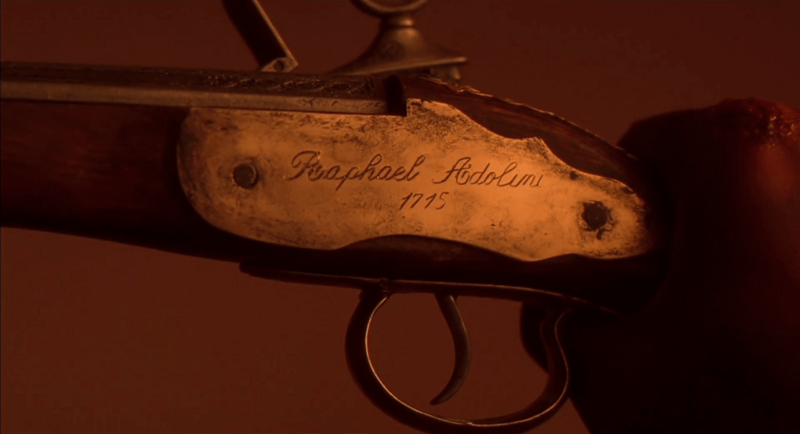 1715: Raphael Adolini acquires the flintlock pistol seen in Predator 2. The Greyback Predator probably did not acquire it the same year, but 3 years later as indicated by the Predator: 1718 comic book. 1904: The inhabitants of Razorback Point Whaling Station are caught between a fight between Aliens and Predators and are killed. 1987: A CIA mission led by Alan Schaeffer runs into a Predator on the border of Val Verde. Alan Schaeffer kills the Predator and is the only survivor from his squad. 1997: A Predator hunting party visits Los Angeles and it's most active member is killed by Detective Mike Harrigan. 2004, October: Charles Bishop Weyland leads a team to Bouvet island in Antarctica to investigate an energy surge created in connection to a buried temple. Everyone on the team except Alexa Woods are killed by Aliens or Predators. 2004, middle of October: A Predator ship crashes near the town of Gunnison, Colorado. Wolf, an elite Yautja, is sent to contain and clean up the Xenomorph outbreak that occurs in the town. Wolf is killed and the town is nuked by US forces. 2006-2009: Ronald Noland, an United States Army soldier, ends up on the Game Preserve Planet. 2010: Nine soldiers from Earth are kidnapped by Predators and sent to the Game Preserve Planet. Although they manage to kill the 3 super Predators hunting them, Royce and Isabelle were the only survivors. 1997-2018: OWLF (Other Worldly Life Forms Program) is renamed into Project Stargazer. Sean Keyes, the son of Peter Keyes joins the team. 2018, October: The events of The Predator take place.